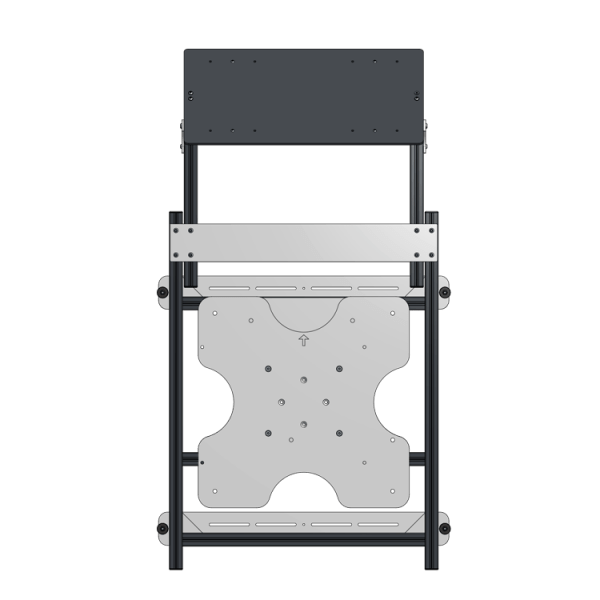 DT Vertical Mirror Mount Reverse Up is an on wall projector mirror mount featuring high performance optical mirrors, custom projector interface and flexible alignment adjustment. It is intended for applications with the projector lens pointing up and the base of the projector pointing towards the screen. The Vertical Mirror Mount Reverse Up features high performance optical mirrors which have a reflectivity of over 97% and perfect flat optical mirrors which preserve optical performance without impacting colour or contrast. The custom projector interface is a result of the in house fabrication capabilities of DT Mounts and enables the projector to be fixed directly to the VMM-RE-UP quickly, easily and accurately straight out of the box. The flexible alignment adjustment makes it straightforward to align the VMM-RE-UP with the projector screen. Four corner adjustment allows correction for pitch and rotation and slide mounts enable accurate centre line alignment. Please contact us for more Technical Documents. Display Technologies is a British brand specialising in advanced projector screens, mounting brackets and custom installation solutions. Their focus on the combination of technical performance and design for install, ensure that all DT products meet the needs of both the client and installer.